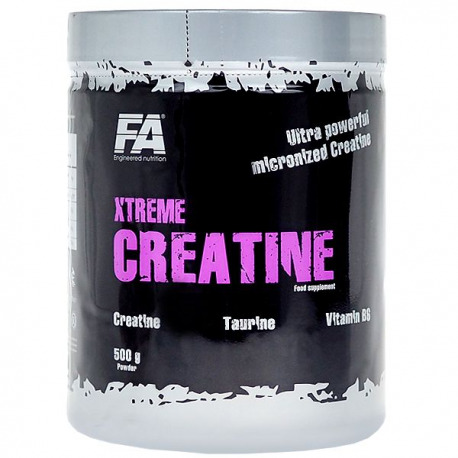 XTREME CREATINE delivers the highest quality pure creatine monohydrate which is one of the most widely known and scientifically proven dietary supplement around all the world. In physiological conditions human body creates creatine from 3 amino acids: arginine, glycine and methionine. Further, creatine as the natural body compound is converted into phosphocreatine which regenerates ATP, the fastest energy source during heavy intense workouts. 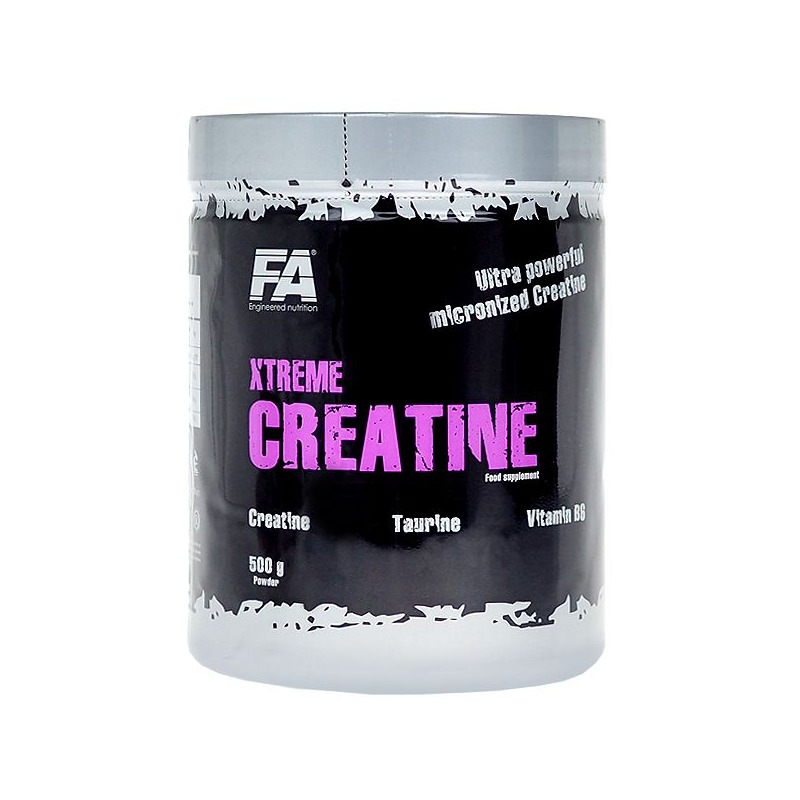 Containing the purest and most concentrated source of energy, XTREME CREATINE is scientifically balanced to help achieve optimum muscle growth, increase muscle size and strength, enhance endurance and improve performance. Readily assimilated by working muscles XTREME CREATINE optimizes hydration what enhance body performance. Moreover, due to adequate hydration, creatine monohydrate increases cell volume what strongly stimulates satellite cells proliferation and results in gaining of fat free mass. Ingredients: Tablets: Creatine monohydrate, bulking agent (E460), stabliser (E341), anti-caking agents (E470b, E551). Powder: Creatine monohydrate, taurine, vitamin B6 (pyridoxine hydrochloride). Recommended use: Powder: mix 1 scoop of powder with 250 ml of water. Use ½ portion 30 - 40 minutes before training and another ½ portion immediately after training. Warnings: Do not exceed the recommended daily dose. Do not use if you are allergic to any of the ingredients contained in this product. Do not use if pregnant or nursing. After supplement consumption body weight may increase. Food supplements should not be used as a substitute for a varied, well-balanced diet. A varied and balanced diet and a healthy lifestyle are recommended. Store in a cool, dry place, away from direct sunlight. Keep out of reach of children.